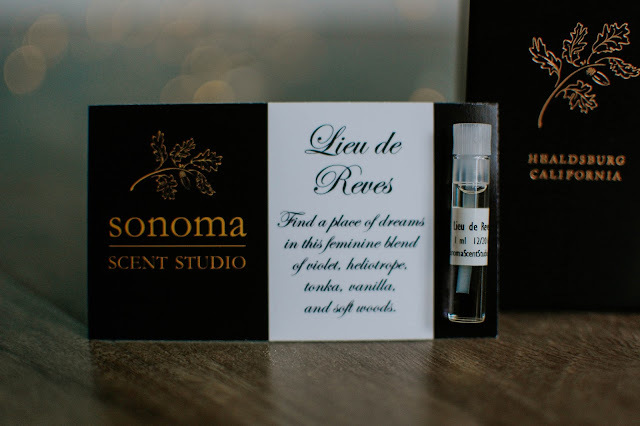 Lieu de Reves from Sonoma Scent Studio is one of Laurie's older scents that was recently brought out of retirement in small batches. Lieu de Reves (a place of dreams) houses violets, heliotrope, tonka beans, vanilla and soft woods. 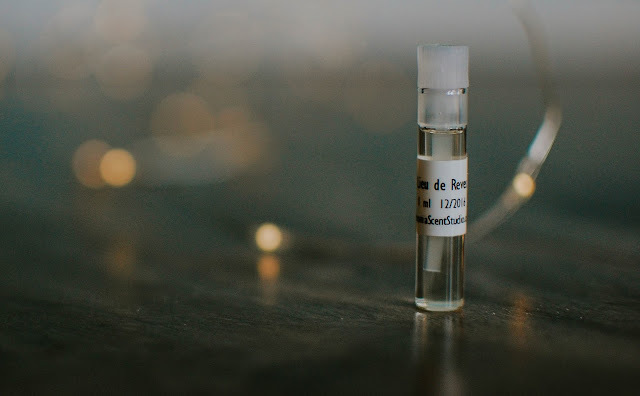 Lieu de Reves paints an impressionistic portrait of a quaint French village nestled in a crescent shaped copse of trees. The first inhale brings us along the cobbled street to a lilac and gold accented confiserie, where violets sparkling with sugar crystals embellish petite cubes of marzipan. The violets shine beautifully under the sweet almond spell of heliotrope. As the scent deepens into the heart, the stroll continues down the intimate lane past a pie shop where tendrils of cherry and plum fillings braid with the flowers to make a halo around the senses. Squinting through the spring sunshine, pastel buildings smudge into softness and tree leaves melt into daubs of vert. Lieu de Reves picks up some dulcet leather from the charming hand crafted chapeaux store as the tour around the village wraps up on the edge of the woodland. Sweet springtide woods, warm with tonka and vanilla, hazy and a touch animalic. The French village scene pulls back and dream ends in the snuggly warmth of the dark, curled into a nest of cotton sheets, a wistful sigh escapes through the lips. 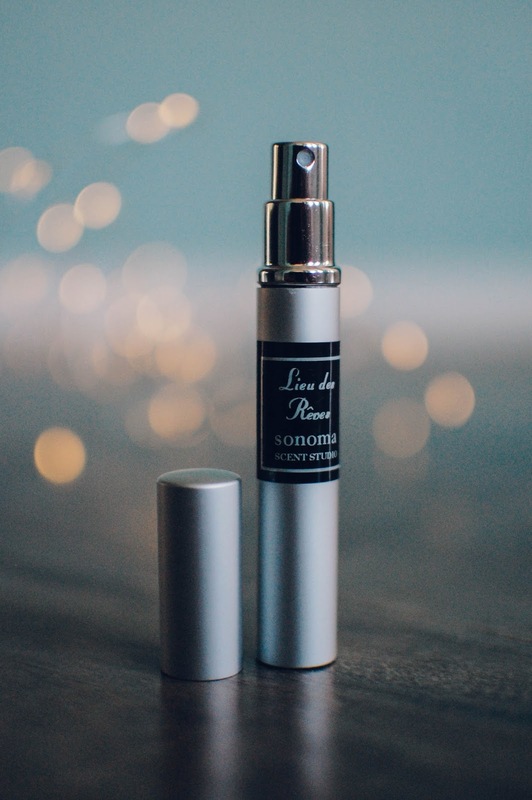 Lieu de Reves enchanted me enough that I went back after sampling to buy the 4ml travel spray for $14.00. 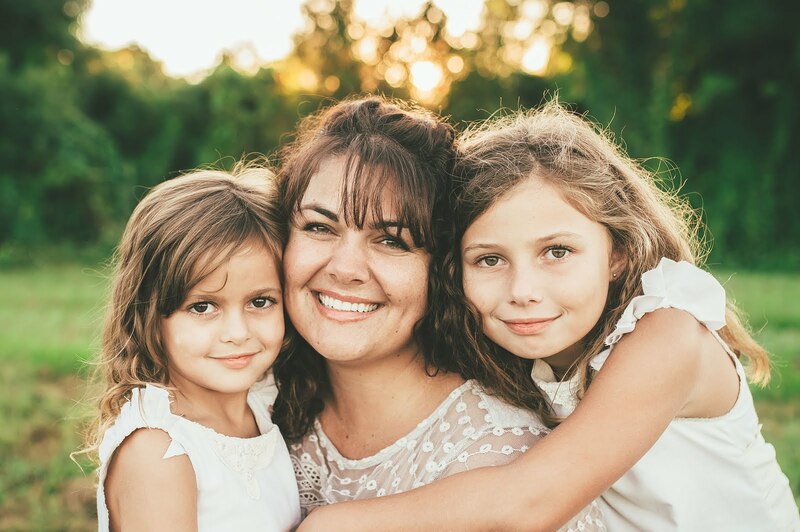 Laurie used to have 3ml and then 5ml travel sprays, but in an effort to economize and simplify she scrapped the 3 and 5 and substituted a 4ml. 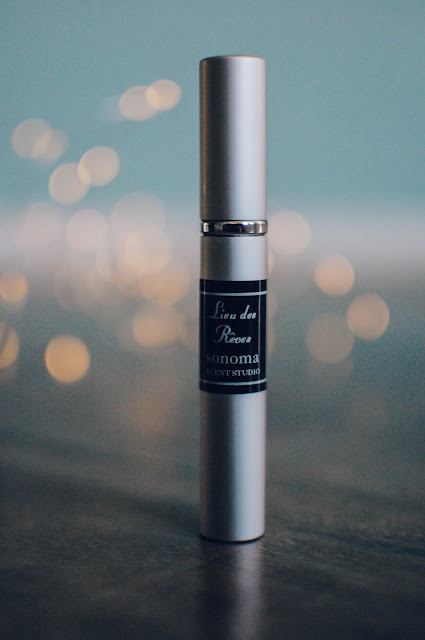 It is taller and thinner than the 5ml spray was but I quite like it. The nozzle works well and it does indeed travel securely without leaking. I am not sure if 4ml of this beauty will be enough though. Sadly, I do believe this is a limited reintroduction of this particular scent. I am not sure how much longer it will be around. It is perfect for spring and summer but will be worn all year long. Sounds dreamy - great review too! Thank you Doreen!! It is a fabulous scent. I wore it just a couple days ago again. I really like that Laurie offers scents in smaller sizes so I can buy more a little bit easier than just a sample. I could see you wearing this one beautifully.